342 p., 5 ill., 17,2 x 24,4 cm. Edited, translated and annotated by Wolfram Benda, Christine Jackson-Holzberg, Friedrich A. Uehlein and Erwin Wolff. Planned as an introduction to the exemplary life and thinking of Socrates in the form of an annotated edition (Greek-English) of those texts which Shaftesbury believed were authentic, (first of all Xenophon’s Socratic writings), the work ultimately remained a draft only. The notes published here for the first time do however make it clear that the Socrates book was conceived as a philosophical treatise. 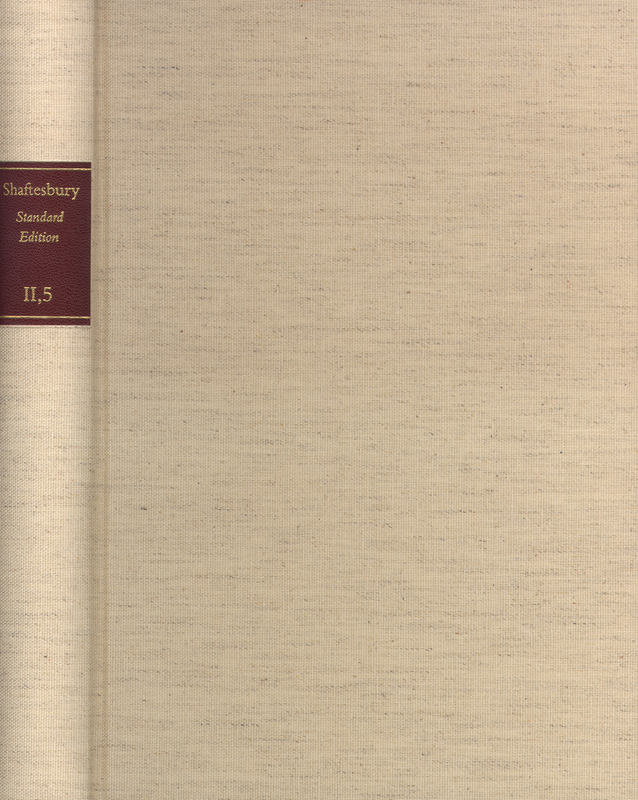 The work is particularly revealing for Shaftesbury’s own ›Socratick Philosophy‹. The book provides a detailed introduction, all the texts and helpful explanations. Hier gilt es nun, die Arbeit der Herausgeber entschieden zu würdigen: Wolfram Benda, Christine Jackson-Holzberg und Friedrich A. Uehlein legen dem Benutzer durch die sorgfältige Erschließung und Edition der Notizen einen verlässlichen und gut zugänglichen Text in die Hand. Vor allem aber die Kommentare erleichtern das Studium ungemein. Durch profunde Kenntnis der antiken Texte und der von Shaftesbury verwendeten Ausgaben tragen sie Licht in die Wälder seiner philologischen Studien, elliptischen Notizen und kritischen Noten.